1. 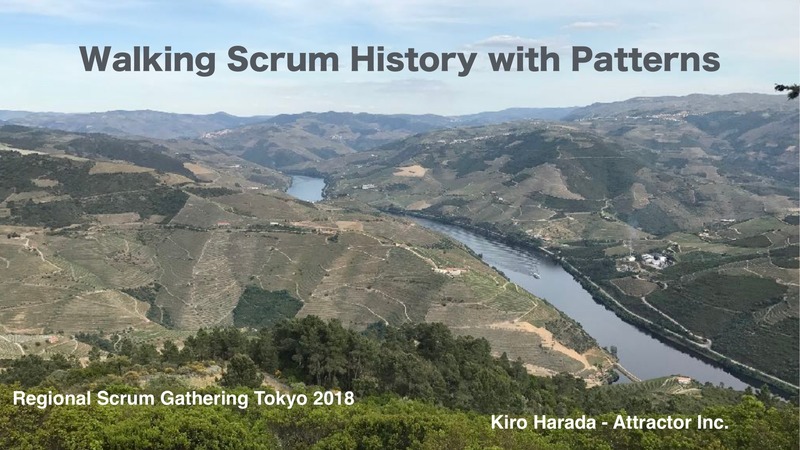 Walking Scrum History with Patterns Regional Scrum Gathering Tokyo 2018 Kiro Harada - Attractor Inc.
3. 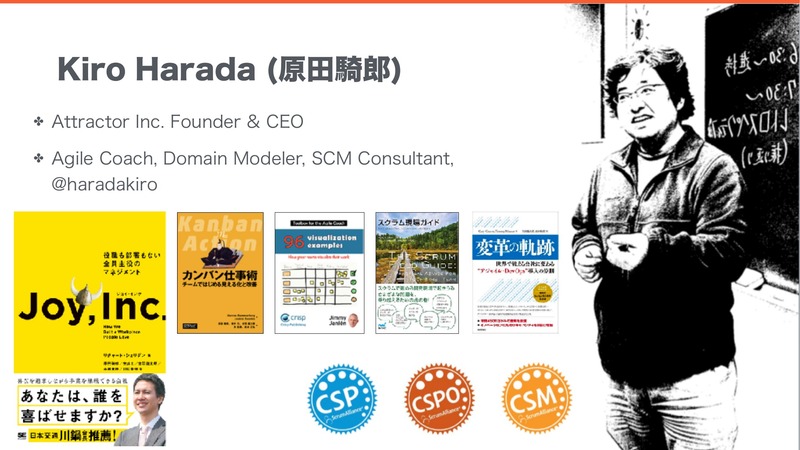 ✤ Provides training/consulting/coaching about product development: ✤ We focus on Agile Development, Kaizen, Autonomation, Team Building, Cloud Computing, Domain Modeling etc. ✤ https://www.attractor.co.jp/ ✤ We re hiring. 4. WE ARE HIRING!! Looking for Agile Coaches to Join Us. 6. It was not originally from software. 13. "At the core... is the idea that people should design for themselves their own houses, streets and communities. This idea... comes simply from the observation that most of the wonderful places of the world were not made by architects but by the people". 14. What is a pattern? Each pattern describes a problem which occurs over and over again in our environment, and then describes the core of the solution to that problem, In such a way that you can use this solution a million times over, without ever doing it the same way twice. 18. What is a pattern language? 53. Scrum Core as Patterns There are three roles in Scrum: • • • the Product Owner; the Developer, and the ScrumMaster . They interact with each other in five main events: • • • • • the Sprint; Sprint Planning; the Daily Scrum; the Sprint Review, and the Sprint Retrospective. Underlying the framework are three artifacts: • • • the Product Backlog; the Sprint Backlog, and the Product Increment. 55. If a Scrum implementation becomes mature, the ScrumMaster will remove Scrum as an impediment. 56. AsianPLoP 2018 CFP Submission Due is Jan 15th.